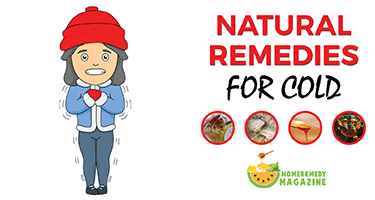 Natural Cold Remedies is not only in winter when we catch a cold, but even a person with cold catching tendency can also be attacked by the common cold virus while dancing in the rain. However, mainly the winter is responsible for catching a cold. The symptom can show up just with first few snowflakes touching the earth. The condition of nasal congestion, fever, body aches and chills are enough to make anyone feeling woeful. The following Natural Home Remedies for Cold will help you to fight against common cold. Raw ginger is not delicious in taste but hot ginger tea not only tastes great but it also spicy and warming. More importantly, it helps the patient to fight against cold in many ways. It reduces the swelling of mucous membrane that shapes the sinus cavity and nasal passage. During the period of cold infection, try drinking hot ginger tea, 3 to 4 times, a day. Onion is known for its anti-inflammatories and antibacterial abilities, whereas honey can be taken for curing a sore throat. So these two are very effective home remedies for cold. A mixture of both these taken equally works great in order fight against a nasty cold. Garlic is known for its ability to strengthen the immune system. It also has antiviral and antibacterial nutritional properties that are a proven method for curing cold fever. 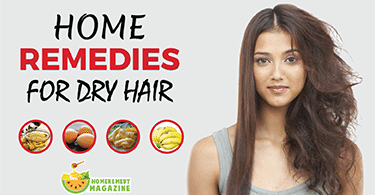 Take a bowl and mix one garlic clove, one teaspoon honey, half teaspoon chili powder and one teaspoon honey. Continue taking the mixture for 2 to 3 times a day until the symptom terminates. Pepper is a very effective ready-made method for getting rid of common cold symptoms. It helps to make the cold thinner and gives relief to the patient from the state of being congested. Pepper can be taken with food if you cannot stand the raw taste of it. Gargling with one teaspoon of pepper poured into a glass of warm water is also very effective for giving relief to your throat. Blowing your nose while having a cold attack, is very effective. However, the process can hurt you and cause an earache. The best method to blow your nose is to press one side of the nostril and blow the other one. Do this method as much time as possible during the fever period and do not forget to wash your hand every time you blow your nose. Drinking any hot liquid has always been considered very useful to fight against inflamed membranes in your throat and nose. It also helps to stop dehydration and provide relief in nasal congestion. Gargling with one glass of hot water with one teaspoon of salt can bring provisional relief by soaking the sore throat. The patient needs to gargle 3 to 4 times a day. The process of gargling can also be done with pepper or a mixture of apple cider vinegar and apple. Staying in rest is very effective to win the immune battle against cold flu. In the case of catching a cold, the virus attacks your body, so the patient needs to rest under a blanket to get rid of cold fever by a natural method. Taking steam shower has always been considered as very effective natural remedies for cold. This process will help you to lick up the nasal passages, and that will allow you to relax for a while. Blow your nose very offer. Gargling 3 to 4 times a day. There is a variety of cold remedy for a variety of ages. Children get colds far more than adults. 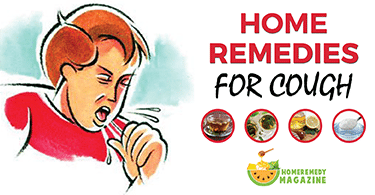 While adults usually have colds around 2 to 4 a year, children can catch as many as 8 to 12. Here’s a look at some common Home Remedies for Cold for different ages. A child from 1 month to 12 months is called an infant baby. You cannot ask them to blow their nose, or gargling. Infants’ primary home remedy for cold is a lot of rest. As you already know, it takes energy and power to fight against the virus fever or infection. When your infant baby is sleeping, he/she is actually in the healing process. You can also take them for a warm bath; it will help them to lose a cold and allow the baby to relax. Children of 1 to 3 years called toddlers. As they are elder than the infants, so they can blow their nose and gargle often. These two processes will help them to clear up the mucus of their nose and throat. Toddlers are not suggested to drink spicy hot tea. However, parents can also offer them to have a half tablespoon of honey every day before bedtime. Adults can use any of the above home remedies for cold during the cold flu. They can have hot tea or soup frequently in a day. 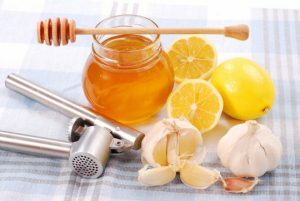 Garlic or Honey and onion syrup are also very useful for adults during the fight against the cold virus. Nursing moms are those who breastfeed their child. As you know, the cold flu virus can transmit from one human body to another very quickly, so it is vital to take precaution for a nursing mom in case of the cold flu. They can use any of the above home remedies for cold. They also need to eat fresh vegetables and fruit. Vitamin C is crucial for them especially in the case of cold fever. Wash them for 20 seconds, and help young children do the same. If soap and water are not available, use an alcohol-based hand sanitizer. Viruses that cause colds can live on your hands and regular hand washing can help protect you from getting sick. So these are the natural remedies for cold. These methods are very useful, but in case you do not get the proper result by the DIY remedies for cold, it is suggested to visit a doctor.